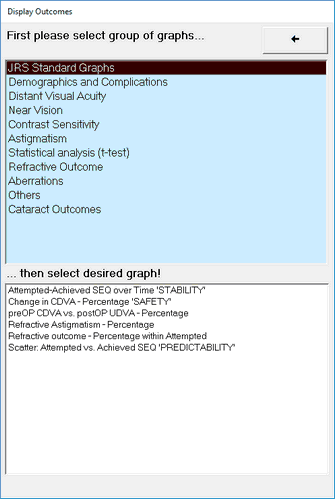 The graph selection is done after clicking on Button #4 ('Graphs') on a two stage pop up window. First select the group of graphs you want to select from and then click on the actual graph to be displayed in the lower part of the sub-window. The graph will open and have a default selection of data. You will need to make your choice of selections on the data filter window. See 5.2.